As part of my day job as a Marketing Executive, I've been lucky enough to get some great experience and go on some great courses all about social media, blogging and digital marketing to help me progress professionally. It's only recently that I asked myself a couple of questions. Firstly, why don't I use the same methods I do at work to market my blog?! Rookie mistake, if ever there was one! And secondly, why am I not sharing this knowledge with my fellow bloggers?! So I'm going to regularly start posting some blogging tips using methods and little gems of wisdom I've picked up along the way! You'll also start to see me use some of these bits and bobs while I am posting and promoting my blog, so you can see how they are done and whether they are working (or not, which I hope isn't the case!). 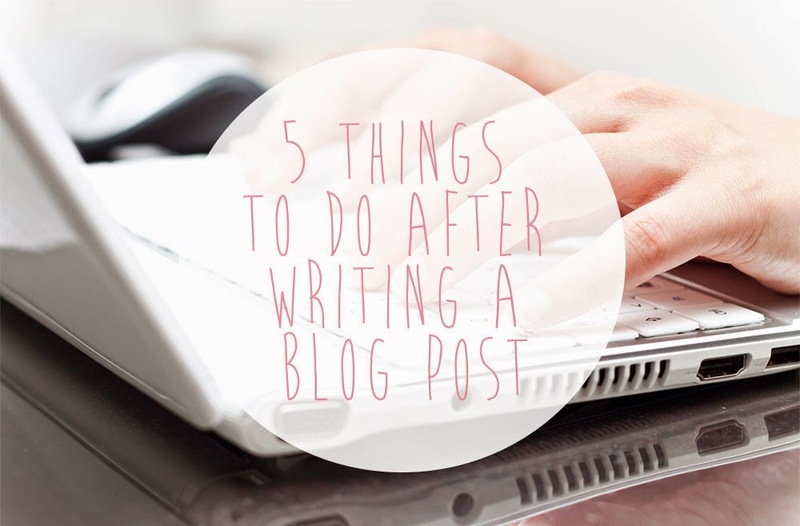 I'm going to start off pretty easy, with a checklist of things you should do after you have written your blog post. Essentially, it's a list of 5 things you should do to help promote your latest blog post!